Yes, you can do lots of things to improve your singing voice. But, practicing vocal warm up exercises certainly comes near the top of the list. In fact, these easy vocal warm ups for singers could mean the difference between reaching high notes or “croaking” your notes into the mike. Now, which do you want? A voice that cracks & strains? Or, a smooth singing voice – also in good health? I’m sure you chose the later, right? So, read more and see how to avoid the mistakes many singers make with these five vocal warmup tips. By far, the most crucial element when you learn how to sing is vocal warm up before singing – whenever you prepare to perform. 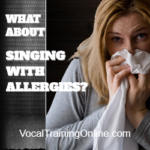 Did you know you could harm your vocal cords unless you engage in singing warm-up exercises and routines? Yes, it’s true! So, bookmark & keep these 5 vocal warm up exercises handy to become a better singer and take care of your voice. 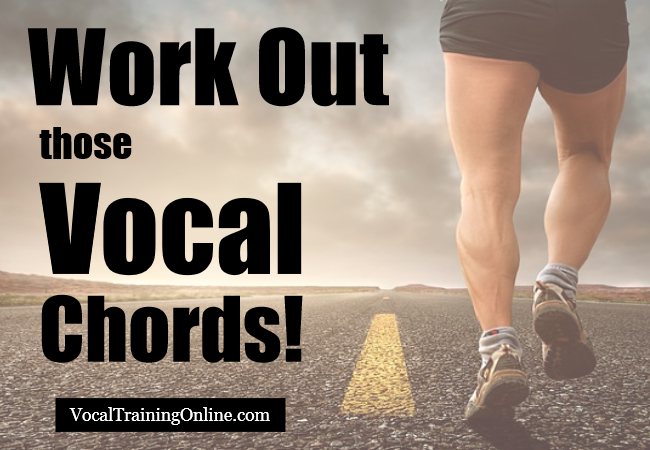 Singing warm-ups compare to a warm up before beginning an intense exercise workout. Just as importantly, singing requires you to warm up your voice; before starting a session. These five basic and sensible singing warm ups are dedicated to get you started. Practice each one until you know them by heart.. Many new singers believe that using your regular speaking voice is quite natural. It is. But, your speaking voice contains several hidden benefits as well. Begin your warm up exercise by speaking the words, “one, two, three, four, five,” similar to speaking a normal dialogue. Then, expand scales in half steps. Make a conscious effort to speak the words as normally as possible. While doing this, concentrate on increasing the pitch. But, be mindful to remain inside your vocal range comfort zone. Place emphasis on generating resonance in your mouth, throat, and chest. 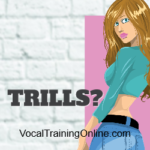 This vocal exercise teaches you how to sing – without making the words sound hollow because of uncontrolled breathing. Next, concentrate on creating vibrations through your singing. This vocal exercise allows you to be aware of the kind of notes vibrating in your mouth, throat, and face. Each time, start at the lower end of your vocal range, and begin from the “Hmm …” humming sound. Resonance becomes easier to notice when it’s produced by the tone in the frontal portion of your throat. Now, increase the scale slowly. And, take care to hum each note. You can accomplish this by humming easy melodies. The process is meant to teach you note placement and voice control. After a couple of minutes of performing the exercise, you are ready to move on to the next warm-up. 3. Why You Should Yawn a Tune! This singing warm up exercise begins with a steady yawn starting at your middle scale. Then, you move the pitch up to the peak of your comfortable singing range. You should reach the highest note possible with your mixed or chest voice. Follow this up by lowering the pitch down to the lowest comfortable note possible. And, don’t allow any break in between notes. The exercise is very similar to yawning at a specific pitch. This singing warm-up exercise is a great tool, because you are compelled to transition between all the notes within your singing scale. And, the yawning method results in tremendous improvement in your vocal range. Exercise number four includes singing warms ups without using words. Begin singing your scale utilizing vowel sounds. For about 2 seconds, hold each vowel sound. Make certain the entire pattern is melodious and flowing. Then, proceed up the musical scale to the uppermost point with the vowel sounds. Lastly, come down to the lowest scale possible for about 60 seconds. Remember, be sure to pronounce each vowel sound clearly. The exercise enables singing easily-understood words without problems in a continuous tone of voice. I love this exercise. Many times, I’ve listened to singers and had no idea of the words they sang. Very frustrating. Enunciation of words is an advanced exercise. And yes, even professional vocalists need to master this vital component of singing success. Just imagine an audience struggling to recognize words you sing! They will be incapable of appreciating the song to the fullest extent. When you learn the vowel sounds by using simple words, you can try tongue-twisting phrases. The same vocal warm up exercise is followed here. You should increase the scale by a half step. Focus on carefully pronouncing the words. Your performance is likely to improve when you master the art of enunciating clearly. And, this warmup works, no matter what musical style you decide on. BONUS Tip: Before You Sing, You Need to Warm Up Your Body Too! 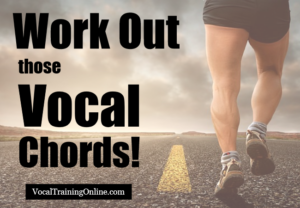 Regular exercise for your vocal cords is an element of the total warm-up session – If you want to sing exceedingly well. But, you also need to warm up your body muscles to avoid strain in your voice. Most guitar players know that fingers must be relaxed to play. And, this holds true for singers. A tense body produces tension in the vocal cords. So, your sound quality suffers as you come unglued due to insufficient body warm-up exercises. Try this Body & Voice Warmup Exercise..
First, extend your hands fully above your head. And then, bend down in an attempt to touch your toes. Do you feel your back muscles stretch? A good way to relax is to imagine how a cat stretches. Got the picture? Also, do a number of neck and shoulder rolls to reduce tension or pressure in these body parts. Lower your arms to the sides in line with the shoulders. Breathe deeply with your stomach to fully expand the lungs. Now, you’ve found the ideal position to begin singing. Work with a powerful singing voice when you’re ready to begin singing. You can dramatically improve the most challenging areas felt in your voice. Practice daily for a while to master these different singing warm up procedures. 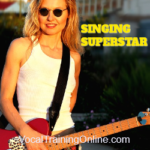 Today, you can begin to improve your singing voice further than you ever dreamed! 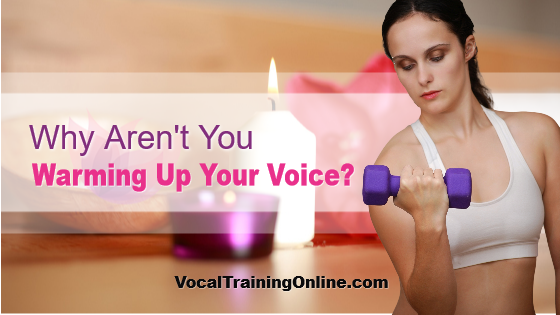 Now, Do You Really Want to Take Your Voice to the Next Level & Learn How to Sing Better? These five vocal warm up exercises for singing better are just the beginning of what you can do. 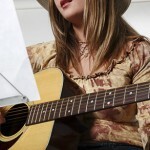 With some practice and a little time, you could find your perfect singing voice. ==> Get the complete Singorama vocal course here.. I cant do the lip thing as I hav my lip pierced? Oh ill try it nw the swellin has gone? Will definitely use this more often!? this works more then my chorus teachers exercises. :o? That second part thou. ????? Mommy made me mash my M&Ms for the 1st part. Thats how I learned it! ;)? Thank you so much this is my ultimate go to before shows love it! :)? helps me get threw every show!! love it? I use this every time I make a cover 🙂 thank u? exactly what i recommend everbody to everyday! great video thnx!? thank u i’ll use this even if i become a musical artist ? my nose is so itchy from the lips haha? I cant lip role though!? hmm…hmm…hmm…hmm…hmm…hmm…hmm…hmm… just like that :p? Very effectives and great to do. Thanxs? i hope this helps bcause my throat ends up hurting all the time? little bit, it might help you :P? Outstandingly helpful. Thank-you J.O.N. ? my choir teacher makes us do this. it works well. ?